Installation of fibre optic, technical support and compliance tests of cable networks is our speciality. To enable PMD MS to maintain professional services and standards, the teams are equipped and trained on state of the art fibre testing equipment. All detailed planning, installation and commissioning activities are conducted to fully documented procedures, which form an intrinsic part of a total fibre service solution. OHS: QA and Environmental friendly standards and procedures are implemented in order to ensure safe and effective service to all staff, customers and vendors. Forecast, plan and schedule the site rollout to comply with the projects roll-out schedule in close consultation with the customer. Management of all activities, customer interface to Site requirements and Telecom implementation (Installation, Commissioning and Integration). Confirm Quality requirements, co-ordination of trouble shooting task, timely delivery of information, personnel and other resources required to ensure completion of projects on agreed schedules. Provide telecom implementation tools, supervise tools used, provides acceptance certificates to suppliers. Define Health and Safety plans and ensure all statutory appointments are performed for safe working practices. Compiling Project Implementation Plan (PIP) based on customer requirements, time frames and budgets. Forecast, plan and schedule the site rollout to comply with the customers Project rollout schedule in close consultation with the customer and all stakeholders. The company has a broad service offering, such as floating and splicing in the civil works and telecommunications industry. PMD MS has acquired tremendous technical and project management expertise and has since successfully established a footprint in Gauteng, Limpopo, North West, Mpumalanga, Free state and Northern Cape. The key competitive advantage for PMD MS is direct industry experience coupled with solid project management skills. This has enabled the company to offer a high quality level of service delivery. Having a highly trained and motivated workforce has enabled PMD MS to deliver projects on time and within budget allocation. Due to a growth of technology across the World, Economic growth, Entertainment, Employment, Distance learning, Wi-Fi Network Technology depend more on Fibre Networks and Broadband creation is a new lifestyle. Choices and stimulating economics everywhere. All sectors of government and the private sector are increasingly becoming aware that fast communication is vital to economic development. Responding to local and regional demands, PMD MS provides installation of cabling technologies that enhance information and communication delivery around the world. PMD MS offers a complete telecommunication service from installation of fibre optic, technical support and complacency tests of cable networks. Telecommunication cables are floated along trenches. Inspection chambers are built up along the cable run to provide for ease of access to the cables for routine maintenance work. PMD MS is geared to ensure the best possible service and installation to the telecommunication industry with fleet company owned vehicles at our disposal as well as additional vehicles that can be added if the need arises. PMD MS has a number of trailers available for the transportation of all the necessary signage equipment and products required on site. We have qualified personnel along with the required equipment to effect the successful and timeous completion of projects undertaken. 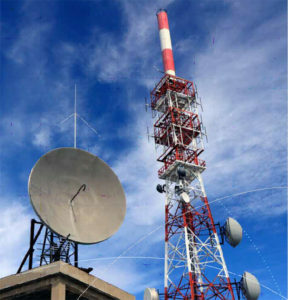 PMD MS does Civil Works Quality assurance for one of the largest African Telecommunication Service Providers. PMD MS review and does acceptance of site AS BUILD documentation. Our goal is to develop high quality Engineering Planning for our customers that maximizes regional benefits, while making efficient use of the existing network and systems. PMD MS does various types of planning for multiple customers. Our planners are all trained and approved to work on Telkom Software Systems. PMD MS’s planners can also do Traffic planning as well as Divert planning from 2 Meg up to 10 Gig services. Site Visit, Site Inspection and Compiling site survey reports and documentation (Site Audit). PMD MS deliver a turn key solution to Engineer, Warehouse, do Site Preparation, Installation, Power Connection, COC, Commission and Integrate SDH and DWDM Equipment for multi vendors. PMD MS have Telkom certified and experienced planning engineers that can do Access, SDH, DWDM and Site Preparation Planning. PMD MS has close to 1000 m3 of secure storage space on our premises with armed response and 24/7 camera surveillance. PMD MS can transport equipment from anywhere in South Africa to anywhere in South Africa. 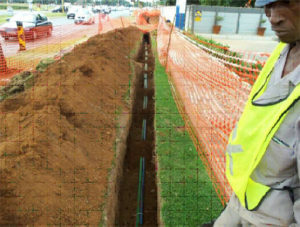 Installation of Wireways, Cabinets, Fibre Cables and Termination equipment to prepare a site for Occupation. Installation of MSAN, SDH, Switching and DWDM Equipment, including all associated copper and fibre cabling. Our in-house electricians do power connections on all 48VDC installations as well as issue COC documents for all connections. Our experienced commissioners work throughout South Africa to commission and integrate all SDH and DWDM systems according to customer specifications. We have the capabilities to test all ports from 100mb/s to 10GB/s and our EXFO MAX TESTER is used to test inter-facility cables to ensure they comply with specification. In situations where we have to test links with uncommon speed I.E. 8GB/s fibre channel, we rent the necessary equipment to ensure that a quality and professional service is rendered. Our Commissioners are very experienced in completing ATP (Acceptance Test Procedure) documents as well as the completing the required tests. PMD MS specializes in DWDM network optimization, optimizing links to align optical power levels of channels and amplifiers to ensure network complies to customer specifications.